Endless possibilities with cardboard cut outs, shapes and a little bit of blue. Whimsical, colorful Miro shapes became interlocking pieces for three dimensional sculptures. This required patience and engineering to get these guys to balance! Adding shapes and painting movement created modern burlap canvases with joyful energy. Meanwhile, in Capitol Hill. 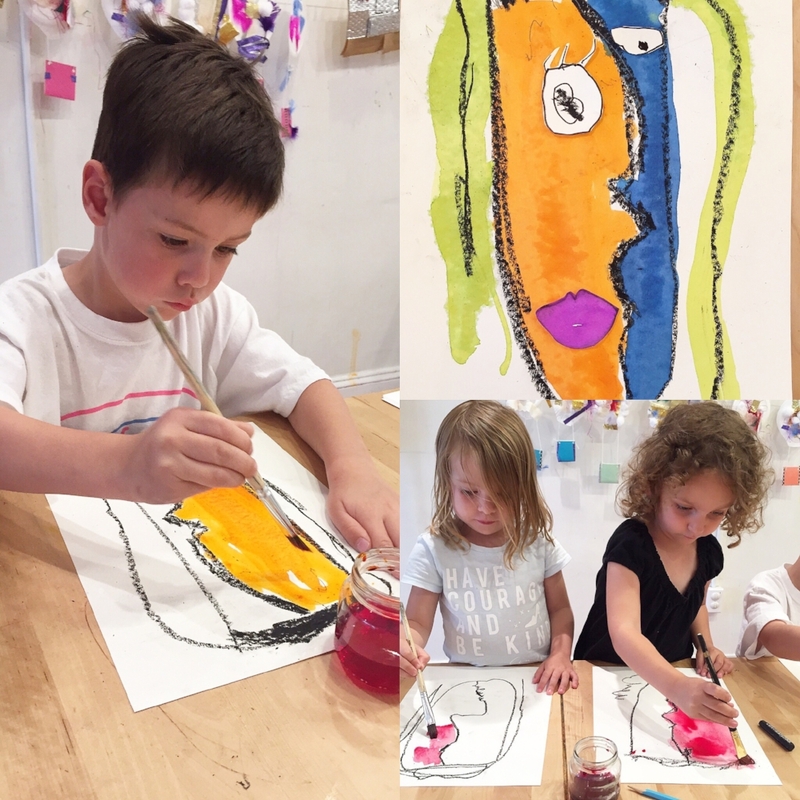 Our five year old class is investigating Picasso faces and mastering the art of the profile making face in a face portraits. Hooray for Sonia and her circles!